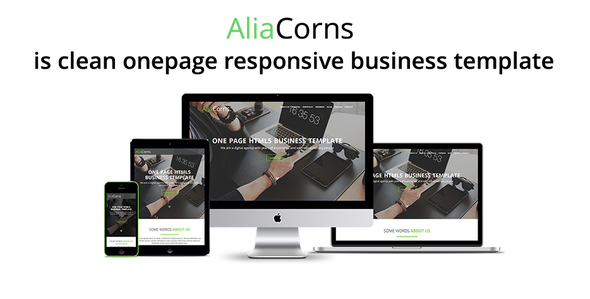 AliaCorns is OnePage bootsrap responsive buiness template. it has all section that you wish for Business, Corporate, Portfolio and Company site. this template is so much easy to modified, customized and well documentated. we hope that you’ll like this product and we did our best to make your job with AliaCorns easy and clear.